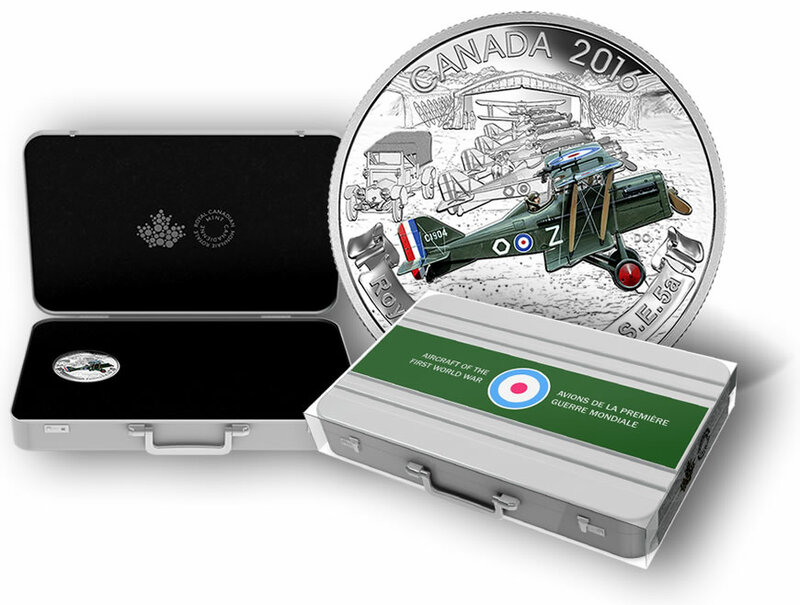 Aircraft of the First World War is the subject of a new 3-coin subscription recently unveiled by the Royal Canadian Mint. Each coin of the series is struck from 99.99% pure silver and features a colored reverse design depicting a vintage plane from the World War I era. Enrollees in the subscription will be sent each issue as they are released for CAD $99.95, which is about US $69. A specially designed 3-coin display case will ship along with the second coin. "This exciting new coin series features three of the most successful Allied fighter planes of the First World War, beginning with the British-built Royal Aircraft Factory S.E. 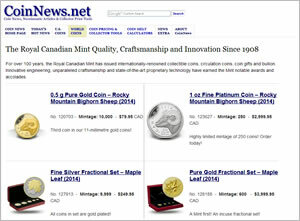 5a," describes the Royal Canadian Mint. "Introduced in 1917, this biplane was on the front lines of innovation. It could fly up to 222 km/h and remain airborne for more than two hours, two factors that enabled the Allies to regain and maintain air superiority until the war’s end in 1918." In World War I, Canada did not have its own air force. This did not prevent brave Canadians from taking to the sky, however, as many joined United Kingdom’s Royal Naval Air Service and the Royal Flying Corps. All three aircraft will be showcased in color on the reverse (tails side) of each respective coin. 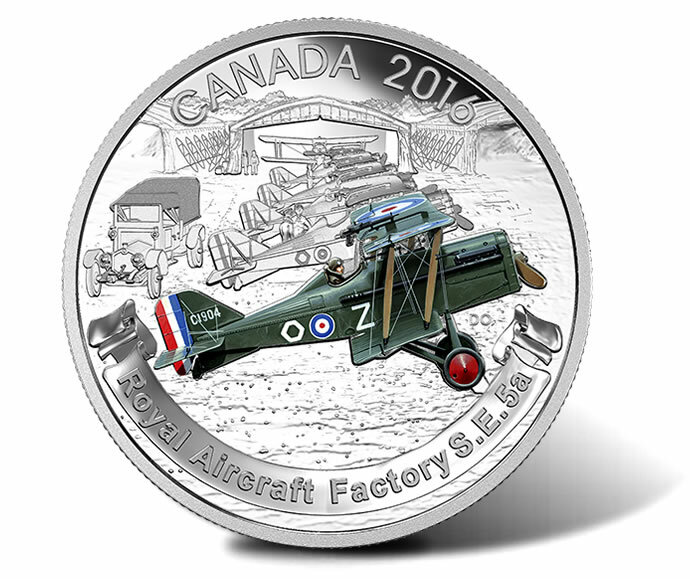 For the first issue, Canadian artist David A. Oram designed the Royal Aircraft Factory S.E.5a aircraft Silver Coin to include several of the planes lined up in front of Bessonneau hangars. A Crossley Light Tender 20/25 truck is also seen. 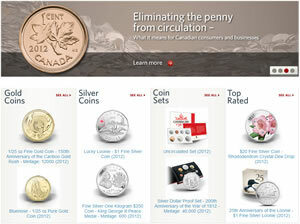 Subscription coins are struck in proof finish with a diameter of 40 mm and a weight of 31.83 grams. The 2016 Aircraft of First World War Fine Silver 3-Coin Subscription may be ordered directly from the Royal Canadian Mint’s website via this affiliate link . Mintage for the subscription is capped at 7,500.